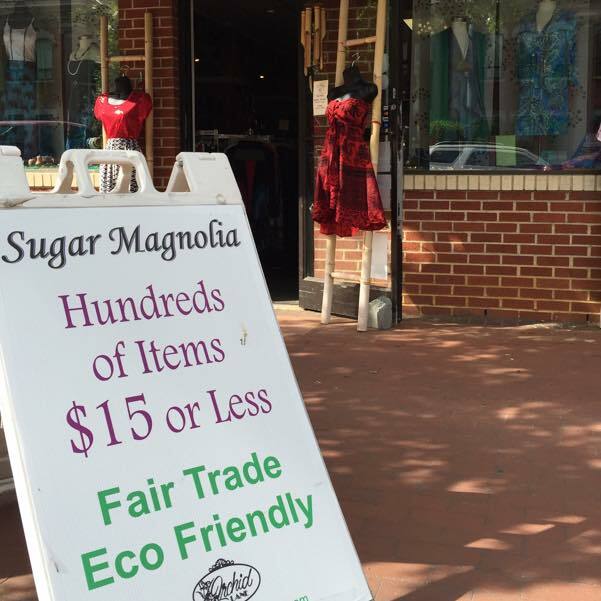 The Sugar Magnolia website gave me the impression that all of the clothing in the store would be fair trade. However, upon arriving and inquiring with the sales associate, I learned that only a small fraction of the store was fair trade: the traditional Indian clothing from India. The clothing, which was simply not my style, was also incredibly inexpensive, making me admittedly a little suspicious about its sourcing. There were no fair trade certification on the labels that I could see. I walked out of the store empty handed and headed for my next stop: Certain Things in Cameron Village. I remembered having a conversation with the store owner around Christmas time about a fair trade line of clothing they stock. Symbology makes clothing that is much more my style (typical popular American fashion). Certain Things had three or four different shirt styles in stock, and I found a few in my size to try on. They fit okay, but I have to really love a piece of clothing to fork over $180. I left empty handed once again, but will certainly stop back again in the future to see updated styles. Conclusion: The fair trade fashion options available at physical stores in Raleigh is lacking and/or the stores that do carry fair trade lines aren’t showing up in Google search results. 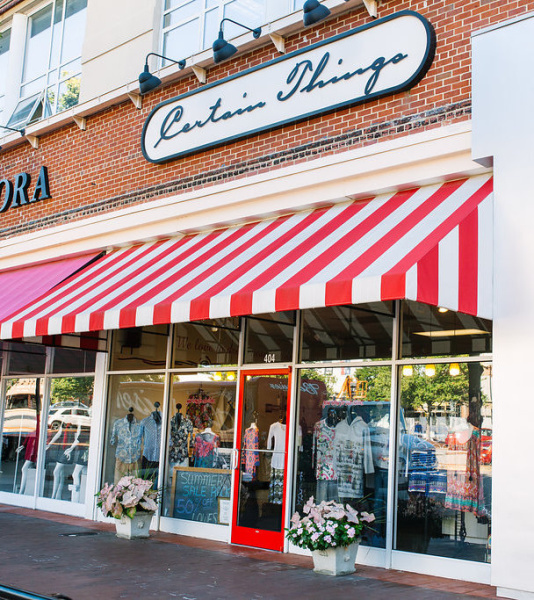 Don’t get me wrong, I’m proud of the two stores I visited for taking a small step forward, but we are in desperate need of leaps and bounds in the NC ethical fashion arena.